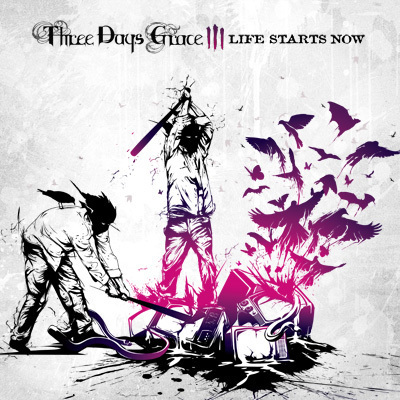 Third Three Days Grace Cd Cover. . Wallpaper and background images in the Three Days Grace club tagged: three days grace days grace three adam gontier neil sanderson barry stock brad walst one-x life starts now. This Three Days Grace photo contains anime, komik, manga, kartun, and buku komik. There might also be sejambak, korsase, karangan bunga, seikat bunga, american express, posy, and nosegay.